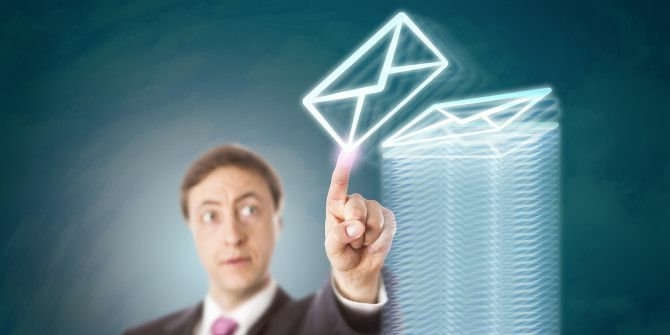 Email, as ubiquitous as it is, still contains all kinds of tricks hiding beneath its simple demeanor — years after its release, there are still all kinds of Gmail power tips 13 Quick Tricks and Extensions to Become a Gmail Power User 13 Quick Tricks and Extensions to Become a Gmail Power User If you are a Gmail user, you have an endless stream of tricks and extensions to make the best of it. We'll explore some of the best of them in this article. Read More to know. Sometimes, tasks that appear to be simple in email are more confusing than they have any right to be. One of these tasks is forwarding multiple emails in a single message. You might need to do this if you want to save all email from an account to another for safekeeping before you delete it. Or, you may just need to forward a lot of mail to someone without manually doing each one. Here’s how to do this in Outlook. Open your inbox and while holding the CTRL key, click each email that you’d like to forward. You can also click an email and hold Shift and use the arrow keys to accomplish this without the mouse. If you want to select every email in your inbox or a folder, just press CTRL + A to select them all. Up on the Ribbon, click Forward (or use the CTRL + F keyboard shortcut Windows Keyboard Shortcuts 101: The Ultimate Guide Windows Keyboard Shortcuts 101: The Ultimate Guide Keyboard shortcuts can save you hours of time. Master the universal Windows keyboard shortcuts, keyboard tricks for specific programs, and a few other tips to speed up your work. Read More ) to begin forwarding the messages. Now, you’ll have a new email message to send out with all the selected messages from before as attachments. It’s quick and easy! To do this in Gmail, you’ll need to use an extension, as the functionality isn’t built in. The only one currently available for the job seems to be Multi Forward for Gmail, which adds a toolbar icon to get the job done. Give it a try if you need this function in Gmail. Does anyone know how to forward multiple emails at once in gmail ? Email getting the best of you? Take a break and read our tips on reducing email stress 6 Simple Tricks to Reduce Email Stress 6 Simple Tricks to Reduce Email Stress Dealing with email is the best part of my day. Said no one ever. You need all the tips you can get to manage your email inbox? We can help you out! Read More . Did this trick help you? Let us know if you ever need to forward lots of messages at once! But what if I have too many emails to be forwarded at the same time and the total attachments exceed maximum 200MB? Then what can I do? Thank you!